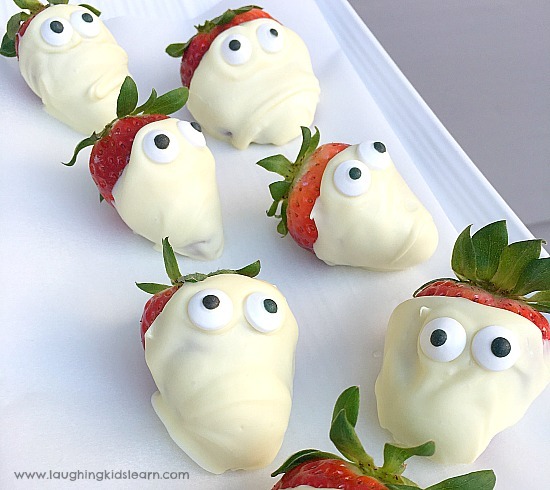 This might just combine three things you and your child love, chocolate, strawberries and Halloween. 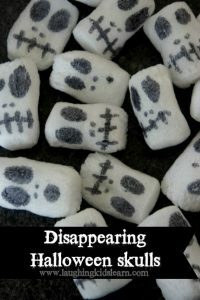 These Halloween chocolate strawberry ghosts are simple to make and taste spook-tastically delicious. 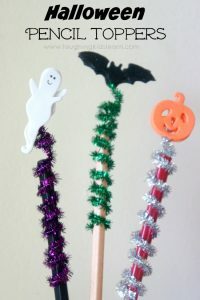 Perfect for your Halloween play date or party. Halloween isn’t very popular in Australia, but I can’t help but get excited around October when I find myself thinking up fun Halloween activities or recipes. My kids love this time of the year too. 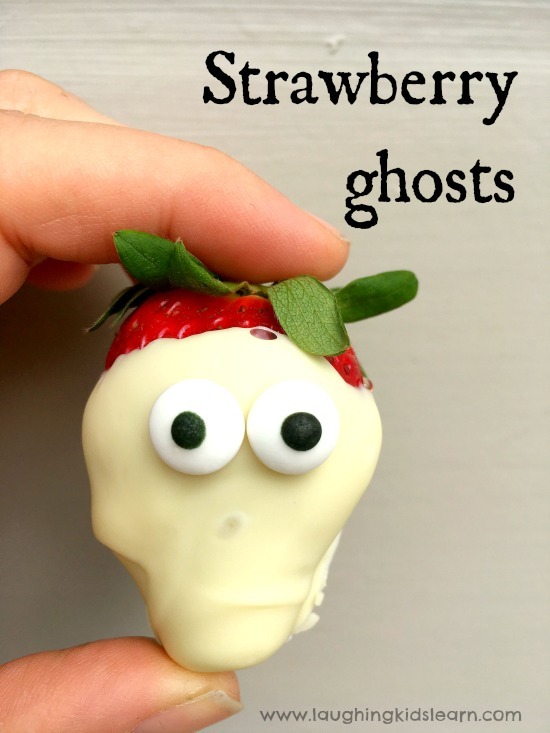 They especially loved to make and eat these Halloween chocolate strawberry ghosts. They are oh so simple. 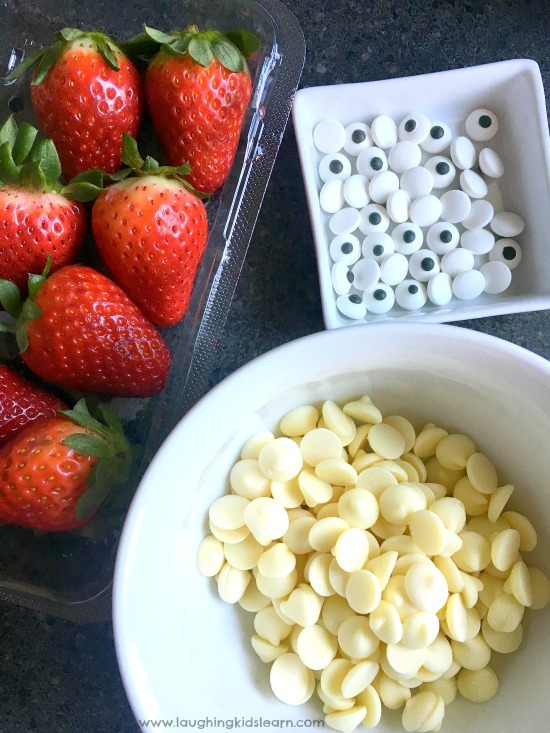 Carefully melt the white chocolate buds over a double boiler or in the microwave, stirring at short intervals. 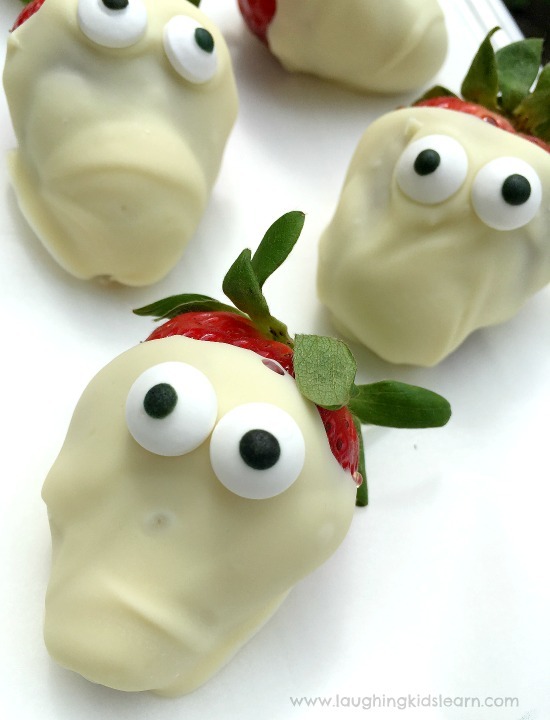 Before the chocolate hardens, drip your strawberry end in the white chocolate and add the candy eyes. Place your dipped strawberry on a baking tray with baking paper to dry. You might like to refrigerate the chocolates to ensure they are set hard. 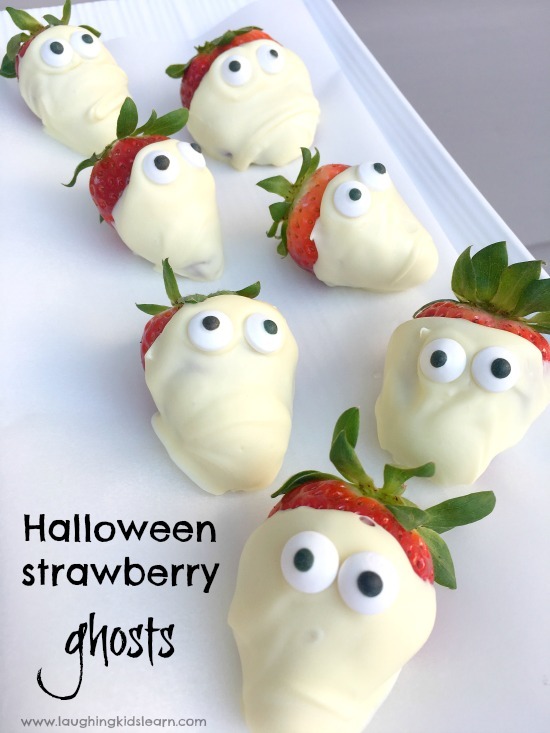 Then you can just enjoy your Halloween chocolate strawberry ghosts as a delicious sweet treat. 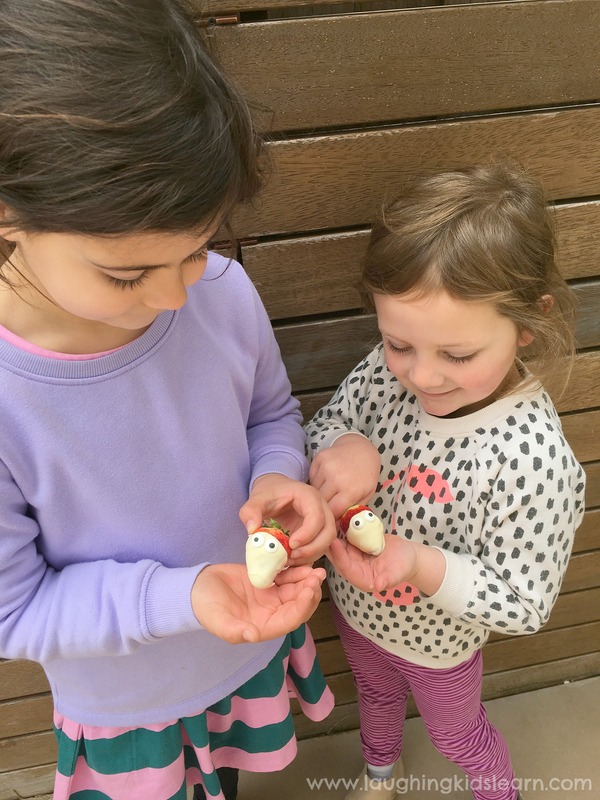 My girls absolutely loved them. The sweetness of the strawberry and the crunch of the cracking chocolate really made this special. Of course you can make different alternatives to this. 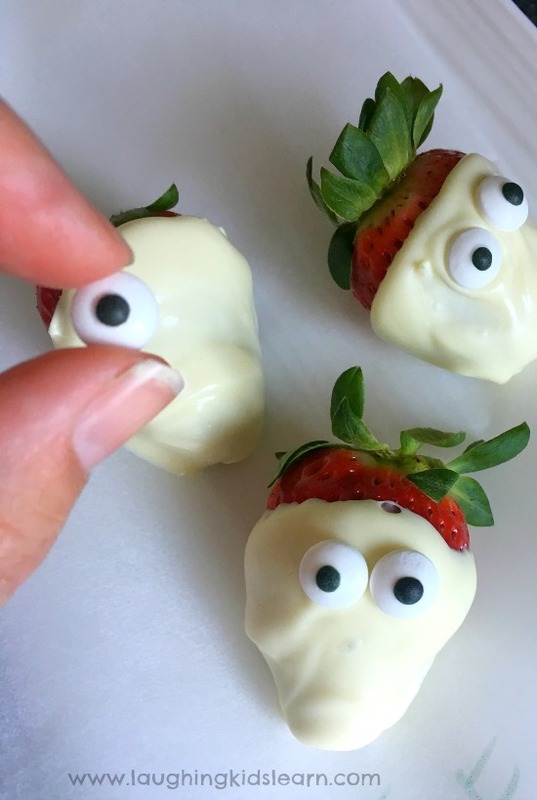 You can add one eye to each strawberry, change the chocolate to milk or dark chocolate, use a candy edible pen to create different designs. 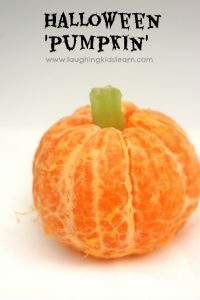 Kate from Picklebums recently put together an awesome collection of great Halloween recipes kids can make. Be sure to check it out here. There are a few I’ve go my eye on to try too. Do you have any yummy Halloween treats you like to make at this time of year?